Courteous service and pleasant atmosphere young lady was very helpful with helping us find what we couldn't locate. Good family owned business! Susan & Steven are good down-to-earth people! You need to keep the environment of your home comfortable and healthy at all times, so it's important that your heating and air conditioning systems are always in excellent condition. 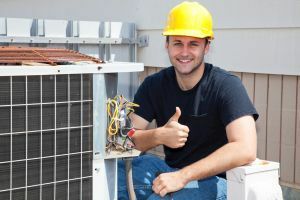 At 24/7 Refrigeration Heat & Air, our professional heating and air conditioning contractors understand how important your HVAC system to your everyday life, so we strive to provide excellent workmanship at every job that we perform. Whether you need regular maintenance, extensive repairs, or a replacement or installation, you can always depend on us for quality work. Our heating and air conditioning contractors are all licensed, trained, and experienced, so no matter how large or small the job is, we'll be ready and eager to get it done well. We've been working with homeowners in the area since 2006, and we've developed a strong reputation in that time by consistently providing our clients with excellent customer service and high quality work. We'll do whatever it takes to keep your heating and air conditioning systems in the best condition possible, and we'll always guarantee your complete satisfaction with the work that we provide. During the summer months, you need to know that you can rely on your air conditioning system to keep your home cool. When you have any problems with your home's cooling system, you need to have them repaired as soon as possible. Our air conditioning contractors will be able to quickly diagnose and accurately repair any issues you have with your cooling system. When the heat of the summer reaches its peaks, you need to know that your air conditioner is as reliable and efficient as possible. 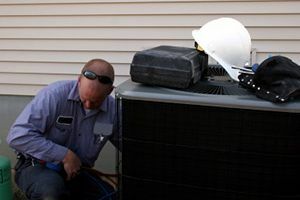 If it's time for you to replace your air conditioning system, you can depend on our cooling experts to tackle the job. We'll work with you to choose the perfect air conditioning unit for your home, and we'll be able to handle every aspect of the installation in order to guarantee that the system will perform optimally. Your heating system isn't just for comfort and convenience—when the temperatures drop to their lowest points, any problems you have with your heating system can be major safety and health concerns. Our experts are always available to provide you with high quality heating repairs and help you ensure that your home is warm, comfortable, and safe throughout the winter months. Regular maintenance is the best way to prevent major problems from occurring unexpectedly, and to keep your HVAC system running as efficiently as possible. Our heating and air conditioning contractors recommend that you have two tune-ups performed each year in order to guarantee that your heating and cooling system are ready for the winter and summer seasons. When you encounter serious problems with your home's HVAC system, you won't always be able to wait for a scheduled appointment, or even for regular business to resume. Our trained professionals are available 24/7 to provide any emergency services and repairs you may need. We'll be on the job as soon as possible, and we'll get the job done quickly, but we'll never sacrifice the quality of our work in favor of speediness. The air in your home has a huge effect on the health of you and any members of your household. Our professionals offer a number of high quality services to help you ensure that your home's indoor air is always clean, safe, and healthy. We can install high quality air cleaners or humidifiers in your home, and we offer thorough duct cleaning services. At 24/7 Refrigeration Heat & Air, our only goal is the complete satisfaction of all of our clients, and we'll do whatever it takes to achieve that. Regardless of what kinds of services you need from us, we'll always work hard to provide the best workmanship, and we'll never consider our job done until your happy with the results. We work hard to keep our clients' heating and cooling systems in excellent condition, and we look forward to adding you to a long list of satisfied clients. When you hire our experts for any kind of work, we guarantee high quality service. We'll arrive to the job on time, and we'll treat your home with total respect while we complete our work. You can always depend on our experts for great service and excellent work. When you need to have any part of your home's HVAC system worked on, you need to hire a professional you know you can trust for quality service. You and your family rely on these systems every day, and keeping them in great shape is tantamount to keeping your home comfortable and safe. At 24/7 Refrigeration Heat & Air, we understand how important these systems are to your home and your family, and all of our contractors are licensed professionals, so you can always depend on us for excellent work and professional service. 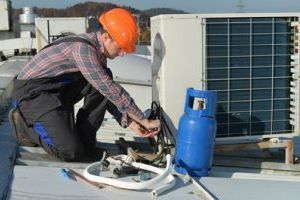 We have extensive experience working with all types of heating and air conditioning units and systems, so we're always able to provide high quality repairs, maintenance services, and installations or replacements. All of the work that we perform comes with a satisfaction guarantee, and we'll do whatever it takes to make sure that these parts of your home are kept in great shape. If you are looking for a air conditioning, heating, & Refrigeration expert then please call 903-784-8787 or complete our online request form.